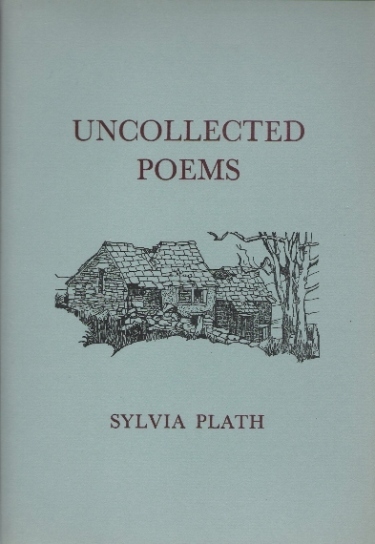 I did not expect the tributes for Sylvia Plath to start until closer to the anniversary of her death, but the fine poet and writer P. H. Davies has recently published A Life of Plath: both a blog post as well as a selection of poems written about her and inspired by her. It is the first tribute, therefore. And it is also the one by which all the others - that are I am sure forthcoming - will be compared to. My own 11 February post is currently in draft form, but reading Davies' now makes me want to scrap the whole things and start over. The Sylvia Plath 2012 Symposium dominated my thoughts this year. From January through October it was all I could think about, and not just because I was giving a few papers: but it was a chance to meet some of you, talk Plath and other subjects, and learn faces and voices to accompany your written words via comments and emails. The Symposium did not disappoint. The chance, too, to spend some time in the archives at the Lilly Library was something most of the attendees took advantage of: and it was really wonderful to see people interacting with Plath's papers for the first time. A new strain of archives fever was born! A number of us there had attended all three of the Symposia (2002, 2007, 2012). While no awards were given out for that, it was a small sense of pride. Looking back through the blog to see what in the world was going on, largely from my perspective, in Sylvia Plathdom, shows quite a varied year. In January I spent a week at Smith College doing both some archives research and attending a documentary editing class taught by Karen V. Kukil. I pitched in bits of information when I could, but being around the students and learning the tricks of the documentary editing trade was really interesting. We edited letters from Sylvia Plath to a number of people. I was lucky enough to transcribe one letter to Phil McCurdy from 1954 and one to Plath's German pen-pal Hans Joachim-Neupert from 1949. I gave, throughout the week, updates from the archive which gave some of the information I was learning but not all. Got to save some stuff for the blog for a rainy or snowy day! The general January 2012 archive is the best way to see these posts, that is, if you care to review them! The following is a list of some of the more -to me- memorable posts from the year, for various reasons, and ones that might possibly have garnered more comments from readers. April: On 1 April, it was reported (falsely) that Plath's grave stone was vandalized by pro-Hughes people, the release of the Sylvia Plath Stamp, a look at Sylvia Plath's "Desert Song"; and this blog turned 5! In May, we had the 50th anniversary the American edition of The Colossus and the content of the Olwyn Hughes Correspondence at the British Library was highlighted. In June, we learned of the death of John Horder, and had a brilliant and beautiful guest post by Gail Crowther. The 5th issue of Plath Profiles was published in July to good feedback with amazing content. I had two papers in the issue, one was co-written with Gail Crowther ("These Ghostly Archives 4: Looking for New England") and one on which I spent years working and was glad to see more or less finished ("Textual Variations in The Bell Jar Publications"). In July, there was also a little post on Plath's "Context". Sylvia Plath's friend Marcia Brown Stern passed away in July and an obituary was published in August, but perhaps the bigger Plath story was the article on the FBI files on Otto Plath that I found. Lastly in August, I did a post on Plath's disappearance in August 1953. September saw a post on Plath's short story "The Shadow" and I visited an archive located somewhere in the United States to see relatively newly available Plath materials: this means you should look forward to "These Ghostly Archives 5: Subtitle to be Determined" with Gail Crowther next summer in Plath Profiles 6. I also did a Sylvia Plath Collections post on two collections with Sylvia Plath archival material held by the New York Public Library. These collections and more were featured in the paper I co-wrote with Gail Crowther: "These Ghostly Archives 4: Looking for New England." The month of Plath's birth seems, year by year, to provide newsworthy events. This year, Melanie Thomas and Caged Bird Productions brought Plath's verse poem "Three Women" to stage in Melbourne, Australia. Our good friend in Plath, Plathery, was able to see the performance and wrote a review on A Piece of Plathery. In addition to Plathery's review, you can see sets of photographs from the rehearsal here and here. A period of quietude passed between "Three Women" and the Sylvia Plath 2012 Symposium, which took place at Indiana University, Bloomington, from 24-27 October. I traveled early to Indiana to spend quality time in the archive before the events kicked off. In an attempt to be consistent, I provided daily "updates" from the archive (1, 2, 3, 4) which mentioned some of the materials I with which I worked, but not telling everything because I need to keep some secrets... Also, there were updates made throughout the symposium, as well as guest posts by Susan McMichael, Lauren Benard, Jaime Jost, and Bridget Lowe, talking about panels I did not attend or, in one instance, a panel in which I participated (It would have been far too easy to say "Steinberg's talk on 'Sylvia Plath: Palimpsestic Writer' simply rocked the house...) Please see the general October 2012 archive on the blog to read and/or re-live these posts... On the Saturday of the Symposium, Plath's birthday, the amazingness that is Gail Crowther visited Heptonstall and sent photographs of Plath's grave and the environs. And, lastly, there was a "photo dump" to conclude the month that showed some of the scenes from the Symposium including the exhibit "Transitions" in the Lilly Library, and some against-policy photographs taken of Kristina Zimbakova's artwork. In November, Carl Rollyson released a trailer for his forthcoming book American Isis: The Life and Art of Sylvia Plath. There were two posts I was particularly curious about: the first being a poem published to no real fanfare in 1998 and the second, a small post on Plath's lines from the play Bartholomew Fair from her 1955 re-experiment with acting. Re-experiment as Plath was in The Admirable Crichton in high school. At the end of the month, a new portrait of Plath was unveiled at Smith College. To be honest, December is still happening and I'm not entirely sure anything memorable has happened, will happen, or will have happened! I am interested in metrics. I check, daily, stats on the website and blog which includes pages hit, keyword searches that yield hits, etc. In the past I've detailed the most and least popular pages. From December 1, 2011 to November 30, 2012, the top five pages hit on my website "A celebration, this is" were: biography, poetryworks, belljar, proseworks, and prose thumbnails. During that same time period, the top five pages, by time spent on that page, were: Biography, Johnny Panic synopses, The Bell Jar, Publications, and Dissertations about Sylvia Plath. How many of them did you read? I read most of them and feel that some were more successful than others. The majority of them were reviewed throughout the year on this blog, some positively and some not so much! The Duffy selection of poems published by Faber is the leader in my mind because at least it's a book "authored" by Plath; of Plath's works. Duffy's selection of poems is really interesting, especially when compared to the previous selected poems of Plath, edited by Ted Hughes (there was an additional selected poems edited by the late Diane Middlebrook which was published by Knopf in 1998). A comparison and critique of these three selections would be fascinating in how the selectors exhibit the evolution of Plath's poetics: their vision of Plath, in some way. Back to the books of 2012...Of the critiques, though only just a chapter long, Uta Gosmann's is the most original. No doubt 2013 is all about Plath's life, even though the sensationalism of the 50th anniversary of her death will be more headline-making. It is also the 50th anniversary of the publication of The Bell Jar. Where do you rank The Bell Jar. Is it as important as her poetry? Are they even comparable? This might more apply to longer-standing Plath scholars, but how different is Plath's literary reputation now than it was in the mid-1970s? Is she better off? Worse off? These are questions I'm sure we'd all like to take a stab at answering. If you feel like exploring this, please consider this blog as a place to voice your opinions. Thank you all for reading. Thank you for commenting. Thank you for following and tweeting and retweeting. Happy holidays and Happy New Year. Be well. Unless something significant occurs between now and 1 January I am taking a few days off from the blog. But, I will check comments. Was there any post that was your favorite throughout the year? If so, leave a comment and let me know why. It might help me to continue to build content next year. Remember that when you are on the internet, you should also read The Plath Diaries (and follow her on Twitter) and A Piece of Plathery. Ann Skea, a very well-known and well-respected Ted Hughes scholar, has recently begun to look at Sylvia Plath, Ariel, and the Tarot. Readers of this blog and Plath Profiles will know that Julia Gordon-Bramer is also interested in approaching and interpreting Sylvia Plath's works through the lens of Tarot and Cabbala. Skea writes on her website that this is a work in progress (and helpfully puts the last updated date on the homepage). She says, "It is true that I am best known as a Ted Hughes scholar and I have published widely on his work, including studies of his use of the occult, but the poetic interaction between Hughes and Plath was so close that it is impossible to study Hughes' work without also becoming very familiar with Plath's. So, I was very interested to read Julia Gordon-Bramer's papers on her study of Plath's use of Tarot in her original ordering of the Ariel manuscripts." Skea will take her approach to the 22 poems which fit the Major Arcana. The first chapter looks at "Morning Song", "The Couriers", and "The Rabbit Catcher". These are the first three poems in Plath's Ariel (that is, Ariel: The Restored Edition). For information about which of Plath's poems match with which card in the Major Arcana, please see Julia Gordon-Bramer's "Sylvia Plath's Spell on Ariel: Conjuring the Perfect Book of Poems Through Mysticism and the Tarot" from Plath Profiles 3. Though, if I read Skea correctly, there may be some differences in the cards or the poems: certainly in the readings of them. I think this is a very interesting development in Plath studies because it shows one scholar building on and responding to another. The Tarot (and Cabbala) are not (for me) the easiest things to comprehend and I am looking forward to reading all that I can in the attempt to better understand this way of interpreting not only Sylvia Plath's poems, but possibly also Plath's vision for the arrangement and structure of her magnum opus. 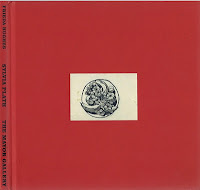 I am a big fan of Skea's work on Ted Hughes, and I also believe I'll be a big fan of her work on Sylvia Plath as well. Ha ha! I mean, ho ho ho! Merry Plathmas to you all, and if you read my book: to all a good night! 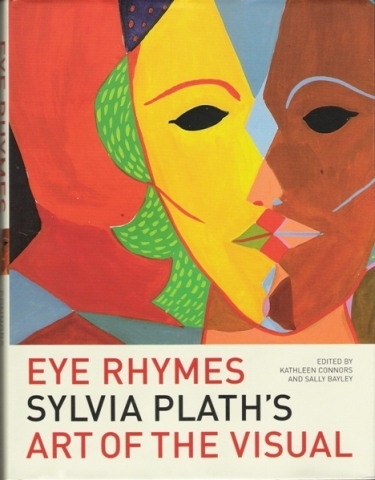 Unfortunately out of print, Eye Rhymes: Sylvia Plath's Art of the Visual is a revolutionary book in Plath scholarship. The reproductions of Plath's art, as well as Kathleen Connor's essay "Living in Colour," make this book a must have for any Plath reader, fan, what have you. It is expertly done; a book to be cherished and studied. In fact, buy two. Pair reading Eye Rhymes with a delicious Cabernet Sauvignon to accentuate the tannin's and rich, fruit-peppery oak pomposity. Wine not your style? Eye Rhymes also matches quite nicely with a dark, spicy, cold winter beer. I'd say go for "the clear beer of Vienna" here, but we know it not to be either "very pure or true." Oh, you're a teetotaler? Then why not pair Eye Rhymes with a copy of Sylvia Plath: Her Drawings, the catalogue from the same-named exhibit at London's Mayor Gallery that ran in November and December 2011? The catalogue was printed in limited quantities (1000), and I am not sure if any are available. But a quick email to the gallery should, I hope, yield an answer. Some of these drawings were reproduced in the back of the American edition of Plath's The Bell Jar. And a slideshow of the drawings from the exhibit is, at the present time, still running in the sidebar of this blog. Do you like pretty things? If you like pretty things, Fuggetta 'bout jewelry, collect Sylvia Plath first and limited editions. If you love or like someone, this is the perfect gift to give because rare books typically gain in value in ways that other merchandise does not. A car, for example, which is on many people's wish lists, loses exponential value the moment you take it off the lot. A bobblehead or action figure, too, once out of the box, loses its value. But, a rare book? The moment you buy it its value increase because it is off the market. This makes the remaining copies more valuable, too, due to concomitant scarcity. You can find many limited editions for sale from ABEBooks. For a list of titles and cover images, please see my website. 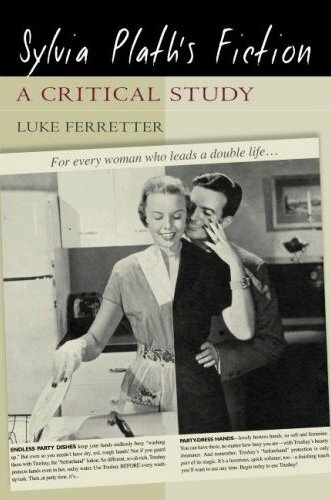 In Sylvia Plath's Fiction: A Critical Study, Luke Ferretter breathes life back into Plath's prose which largely has been ignored. One may want to buy Johnny Panic and the Bible of Dreams too, and, while you are at it, request photocopies of Plath's short stories from the archives (primarily from Smith College, Indiana University and Emory University) to help as you read this book. 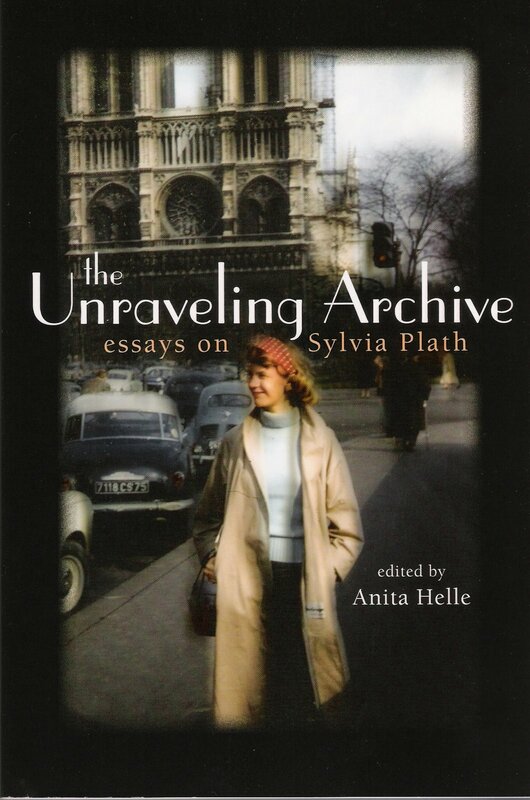 And, the journey into archive of Plath has never been so fully examined as in The Unraveling Archive: Essays on Sylvia Plath edited by Anita Helle. Though published in 2007, this book has not lost any relevance, and remains among the most important works on Plath to ever see the light of day. In two parts, "The Plath Archive" and "Culture and the Politics of Memory", the essays in this book situate the reader in the former section with the writer as they physically discuss Plath's papers, voice, etc. In the latter, readers take only the slightest step backwards in essays that deal directly with Plath archives though through the lens of a contextual approach. 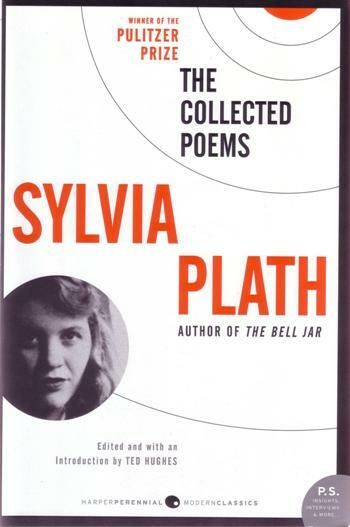 These two books, The Bell Jar and The Collected Poems, provide the greatest overview to Sylvia Plath's creative works. The Bell Jar, originally published nearly 50 years ago under the name Victoria Lucas, is a really funny, great read. It does many things at the same time: tells a coming of age story; is a response to the social climate of the period covered in the novel; and much more. 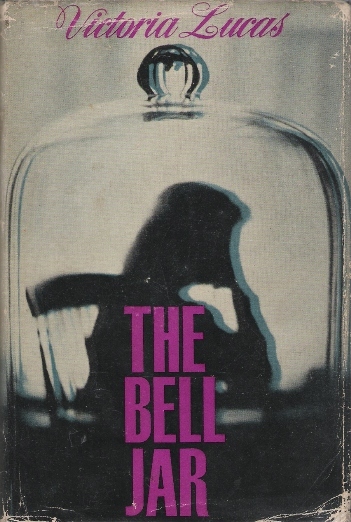 There are different editions of The Bell Jar out there with textual variations, so in order to read the one Sylvia Plath herself sanctioned, read the 1963 Heinemann edition if you can afford it, or any Faber edition published between 1966 and 1996. Faber is releasing a 50th anniversary edition of The Bell Jar on 3 January 2013. It would have been better to release it on the 14th, just as the book was originally in 1963...Not sure if the text block will be restored to the one of which Plath approved but time will shortly tell. In the past I admit to spending more time reading the individual poetry collections, but in doing so, I have cheated myself out of the glory that is a more or less full presentation of Plath's (mature) poetry. The Collected Poems won the Pulitzer Prize for poetry in April 1982. Why not buy the book and find out why? For the next seven days, I am going to suggest a perfect Christmas, Hanukkah, Kwanzaa - er, Holiday - gifts by or about Sylvia Plath. These are perfect gift ideas for friends, lovers, acquaintances, or enemies. The Spoken Word: Sylvia Plath, with an introduction by - ahem - Peter K Steinberg, is the perfect gift for the holidays. 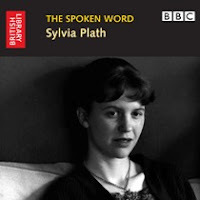 Offering a range of rare Plath recordings, The Spoken Word is an instruction audio compilation. As you listens to Plath's speaking voice, you learn how to read those poems: the meter, the stresses, the line breaks, etc. The interviews add a human dimension to Plath, and Ted Hughes, too. The "Two of a Kind" recording is worth the price of the CD alone, offering glimpses at the poetic ideology of the 20th century's most famous literary couple, at a time just before Plath's full voice matured. 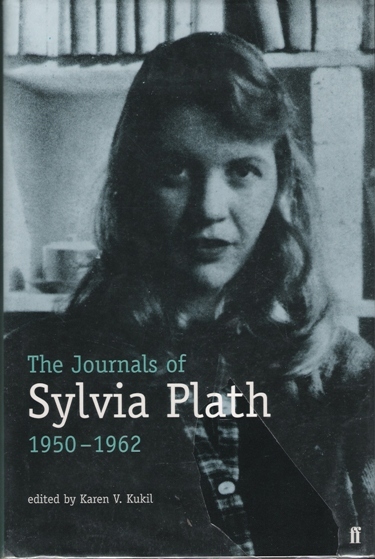 The interview conducted in January 1961, precedes Plath's miscarriage and appendectomy by weeks, as well as the composition of "Tulips" (also on the CD) and The Bell Jar. Hearing Plath's introductions to several poems, also, informs how we can approach the works based on these authorial comments. The last track was recorded just a month before Plath's death and shows her at her critical best, astutely reviewing Donald Hall's book Contemporary American Poetry. Plath was excluded from the anthology, but a fun game to play (for children aged 14 and higher, only) is: how many of her own poems can you spot that she references in her review? A truly unique gift item that is a gift that keeps on giving. Order now! That's an order! On Wednesday, 9 January 2013, the unequaled and venerable Helen Vendler will present a 3 hour long talk on Sylvia Plath at the Warburg Lounge, Unterberg Poetry Center, part of New York's 92nd Street Y (Lexington Avenue and 92nd Street) in New York City. The event will run from 6 pm to 9 pm and registration starts at $160. Per the website, "We’ll look at some Smith College juvenilia to investigate her early aims and then at some late and posthumously published poems to see what drove her most original imaginative works. The aesthetic criteria for evaluative judgment will be examined in these contexts." So far as I have learned, this is the first event somewhat associated with the 50th anniversary of Plath's death. Helen Vendler is the A. Kingsley Porter Professor of English at Harvard University and the author of Coming of Age as a Poet: Milton, Keats, Eliot, Plath; Poets Thinking: Pope, Whitman, Dickinson, Yeats; and Last Looks, Last Books: Stevens, Plath, Lowell, Bishop, Merrill. With Robert Lowell and His Circle by Kathleen Spivack (Northeastern University Press, 2012) is a veritable who's who of poets over the last 50-plus years. As a memoir, similar to Ted and I recently published by Gerald Hughes, it is not without some faults. Spivack writes, "What I have tried to record in this description of Robert Lowell and his circle were some aspects of the journey as I lived it" (213). However, the remembered memories written over the course of many years - some of those "aspects" - are false. And even just the smallest, misremembered fact throws the entire book under suspicion in what is a very tricky genre. Such as Spivack's comment that during the spring semester of 1959, in Lowell's classroom which faced Commonwealth Avenue, "each class extended longer than scheduled, and the afternoon got colder and darker" (34). However, in springtime, the afternoon light actually extends by a minute or so each day. I understand what she was trying to say, it's just that as a prose writer her imagery lack veracity. Naturally I gravitated to Spivack's memories of Sylvia Plath. These I digested eagerly, but not without some discomfort. I want to believe the quoted conversations took place but cannot. If these are drawn directly from Spivack's journal/diary written directly after the events took place - that is another story, but there is nothing to suggest this is the case. If I am wrong: tell me then in the text that you're quoting from your diaries. References to Plath dot the book entirely, but the largest section is "Sylvia Plath 1959-1960" on pages 31-42. Spivack's memories of Plath are partly her own, and partly Lowell's, and partly Plath's own words from her journals and other writings. Needless to say this is problematic. Spivack "met" Plath in print before they even in person, as she recalls reading Plath's poem "Doomsday" in Harper's (May 1954). I find this more interesting than anything else in the section because it shows Plath being read on a national level. Many of Spivack's impressions of Plath are not new, but there is an occasional bit that provides a glimpse of the type of person Plath was, such as "The achievement of her poetry at the time  seemed to lag behind the scholarly achievements of her mind and critical ability" (33). We largely consider Plath in terms, solely, of her writing. But few have spent much time and effort on her education. One of the statements in the memoir section on Plath that is outright false involves a poem Spivack says "appeared in the class": "The Manor Garden" (32). This is a lie. If a lie is considered an exaggeration, this I hope we can agree it is wrong, at least. If Plath attended Lowell's class in the spring of 1959, there is no possible way Plath presented a poem she wrote in, circa, October 1959. It is more likely Plath brought in "Point Shirley", "Suicide Off Egg Rock", or even "Electra on Azalea Path" which seem far more inspired by both the events Plath lived that spring, as well as being topically relevant to the course, the instructor, some of the classmates (Anne Sexton, in particular), and as the products of Plath's resumed therapy with Dr. Beuscher. When I read this part, the truthfulness of the book, and my expectations, fell precipitously and, I admit, I lost interest. Another poem apparently discussed in class is Plath's 1957 poem "Sow". But I do not know what to believe at this point. Later, on page 38, Spivack discusses how she was at West House, Yaddo, in the same room where Plath wrote The Bell Jar. But, Plath didn't write The Bell Jar there, she wrote The Bell Jar in London, largely if not completely at 11 St. George's Terrace in the house of W.S. Merwin. And on the following page, Spivack claims that Ariel: The Restored Edition is Frieda Hughes's arrangement of poems. Whoa nelly. This is not even worth further comment. The impulse to write this book as opposed to Gerald Hughes's Ted and I is different and as such the expectations are different. Gerald Hughes is a man who has primarily lived a private life, and so the expectations for his sort of memoir are vastly different to Spivack's, who has largely (creatively) lived a more public one. That Spivack worked on this book for years illustrates her labor of love over the contents and speaks volumes over her friendship with Lowell, and acquaintance with the others mentioned in the book. It is a good, friendly, easy-to-read book. Additionally, this is the impression I get from Spivack herself. But there is periodic, significant repetition that damages the narrative flow of the book; and likewise, there are enough examples of the faultiness of memory, in even the smallest of sections (like the Plath, which is strangely longer than the Sexton section even though she had a longer relationship with Sexton) that casts doubt over everything else within the covers. It is possible the memories of Robert Lowell are more true, or less false, but I would not necessarily know. As a reader I want to trust the writer and what the writer has written, but in With Robert Lowell and His Circle I simply cannot. For the second book in a row, Sylvia Plath features briefly in an Ian McEwan novel. 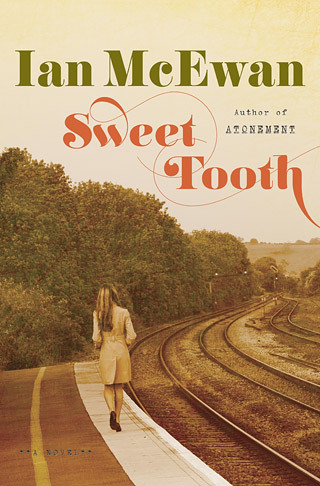 Plath was name-dropped in McEwan's Solar (2010), and in his just published novel Sweet Tooth, she again is mentioned. On page 189, McEwan's protagonist Serena Frome (rhymes with "plume") receives as Christmas gifts hardback books of Sylvia Plath's poetry. I know it is fiction, but the poetry books Frome received were most likely Crossing the Water and Winter Trees which were published in 1971. Although naturally Ariel and The Colossus were also available at this time in hardback, as well. It is really amazing what Ian McEwan will do to get mentioned on this blog.